UBB-FSEGA International Summer School on Business Administration is organized by the Faculty of Economics and Business Administration from Babeș-Bolyai University in Cluj-Napoca. This year the summer school will focus on Sales Strategy, Human Resource Management Practices, International Project Management, Cultural Dimensions of Management with a perspective on Eastern Europe and will take place during 29th July – 3rd August 2019. The summer school is the best opportunity to visit Cluj-Napoca, the capital of Transylvania and learn more about the Romanian culture. On top of that, participants will have the chance to experience the student life in Cluj-Napoca through a variety of cultural and social activities including a one day trip to Alba-Iulia. UBB-FSEGA International Summer School on Business Administration is addressed to business students from all over the world. It is intended to develop students’ grasp of business as it provides numerous opportunities for networking. The courses offered during the summer school will provide students with valuable knowledge about the two perspectives involved in a sale, retailing in an international context and analysis of disclosed information concerning operating business. Lectures, readings, and case studies will be used to introduce topics so as students can gain and develop the necessary skills for the international business environment. The summer school strives itself to be the best mixture between education and entertainment. The module entitled Sales Strategy is focused on presenting the two perspectives involved in a sale: the customer’s perspective when choosing what to buy, and the seller’s perspective on creating the best offer which can then guarantee the sale. What are the factors which influence the customer in his buying decision? The stages of the customer’s buying decision. How to create the best offer? The course will develop the capacity to understand current HR challenges faced by organizations and it will build the skills required for working in multinational organizations and across national borders by providing general knowledge in HR. The course focuses the sociocultural bases of management, outlining the most important differences between countries in terms of mindsets and behaviours, and providing students with knowledge on how to develop cultural competence. The module entitled International Project Management is focused on presenting basic concepts related to projects and project management, the main international standards and guidelines in project management and the most useful tools and methods of project planning. What is a project? What are the characteristics of projects? What are the main international standards and guidelines in project management? The steps in project stakeholders’ management. The main planning tools used in project management. How to manage risks in projects? Ioana BELEIU is a Teaching Assistant at the Faculty of Economics and Business Administration, Babeș-Bolyai University. Her research interests relate to project management. She finished her PhD studies in 2012. The doctoral research was focused on the impact of projects on regional development. She also conducted a post-doctoral study focused on the relationship between success factors of projects and the dimensions of projects’ governance. 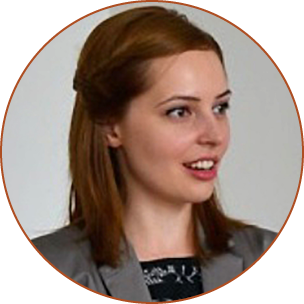 She has international experience by participating during her doctoral and post-doctoral studies, in research internships at the Vienna University of Economics and Business and at the University of Vienna. She attended numerous international academic conferences and published several books, book chapters and articles focused on management and project management. She teaches Project Management to both undergraduate and graduate students. Dan C. Lungescu is an Assistant Professor in the Faculty of Economics and Business Administration, “Babeș-Bolyai” University of Cluj-Napoca. He earned a PhD degree in Management, awarded by the same university, on a topic related to the cultural bases of management. 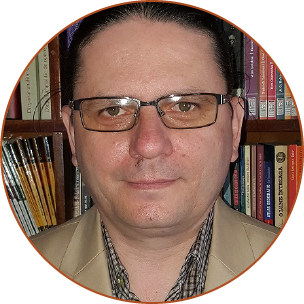 Dr. Lungescu is main author or co-author of several books and articles, especially focusing the international side of management. He is chair of the Managerial Challenges of the Contemporary Society international conference. His research interests follow the subjects he teaches to both undergraduate and graduate students: Management, Comparative Management, Change Management, Leadership in Organisations. Maria Luiza Souca is a Lecturer at Faculty of Economics and Business Administration, Babeș-Bolyai University. She holds a Ph.D. in Marketing from the Babeș-Bolyai University of Cluj-Napoca. She was also a guest lecturer at Ecole de Management de Normandie, France. She has published one book on customer satisfaction in the hotel industry, and more than 15 articles in international journals and Conference Proceedings from all over the world, with a focus on customer satisfaction measure and management, open innovation, tourism, and viral marketing. Her current research interest focuses on the tourism industry, business negotiation, and event marketing and management. She teaches several courses to both undergraduate and graduate students: Business Negotiation, Fundamentals of Services and Tourism Marketing. 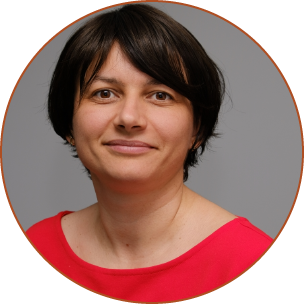 Monica Zaharie is an Associate Professor at the Faculty of Economics and Business Administration, Babeș-Bolyai University from Cluj-Napoca, Romania. 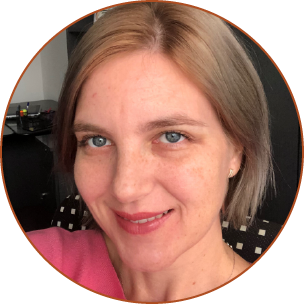 She has international experience in HR by taking part into international projects, teaching international students, and attending numerous academic conferences across the world. Having a background in Psychology, she was actively involved in the development of the career centre at the faculty level. Her research interests relate to organizational psychology, human resource management, and higher education. Since 2012 she has been the editor of the journal Studia Universitatis Babeș-Bolyai Oeconomica. Students will be accommodated in the faculty’s dormitories which are right on-campus. A maximum of three students will share a room. Each room has its own private bathroom and WiFi access.